Gov. Rauf Aregbesola of Osun has challenged Nigerian engineers to leverage on their skills to help drive government’s renewed effort at diversifying the nation’s economy. 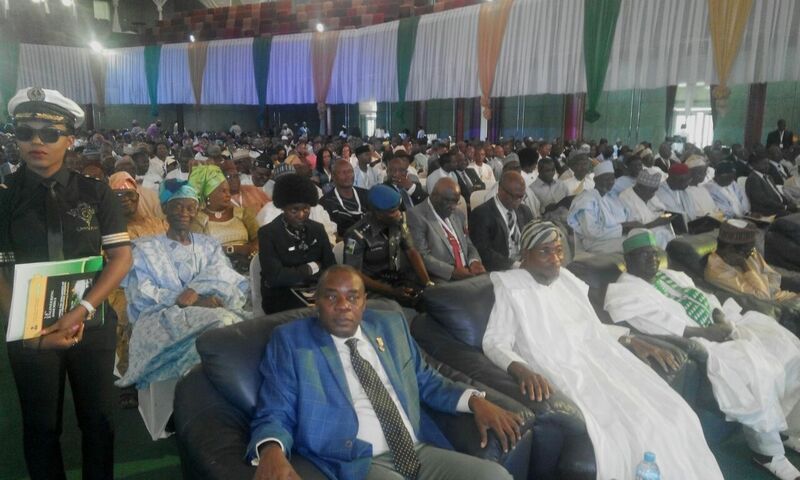 Aregbesola made the call at the opening of the 24th Engineering Assembly organised by the Council for the Regulation of Engineering in Nigeria (COREN) in Abuja on Tuesday. The theme of 24th Engineering Assembly is “Overcoming the Challenges of Nigeria’s Monolithic Economy: The Role of the Engineering Profession’’. He noted that the level of development of any nation was judged by the level of its engineering capabilities, saying that “the deployment of engineering in economic development is limitless’’. According to him, Engineering is the root of development and so no nation can be more developed than its engineering capabilities. “Nothing reflects more poignantly the level of engineering of a people more than their built environment. “Nigerian engineers must challenge themselves to come up with critical ideas to explore the abundant resources in other sectors beyond oil and gas to diversify the economy. “Only Nigerian engineers can lay the solid foundation for diversification of our economy to be able to achieve sustainable development across all sectors,’’ Aregbesola said. Earlier, COREN President, Mr Kashim Ali, attributed Nigeria’s underdevelopment to government’s failure to emulate the Asian Tigers that involved indigenous technological manpower in their development plans. Ali said that “political leadership over the years denied our beloved country the benefit of optimally utilising its engineering personnel due to unfathomable reasons. “We had hoped that we as a people will learn from the experiences of others like the Asian Tigers, who leveraged on their indigenous technological manpower for industrial and economic breakthrough. “It is, however, unfortunate that decade after we are still operating far below capacity. “Particularly, worrisome is a situation where positions requiring engineering skills are given to people without engineering background. “A very recent example is the power sector where key institutions like NERC and NDPHC are headed by non-engineers. “Mr President (Muhammadu Buhari), Nigerian engineers are waiting for presidential challenges in such areas as crude oil refining, power supply, railway transport modernisation and so on,’’ Ali said. The News Agency of Nigeria reports that the Engineering Assembly is an annual forum where members of the Nigerian engineering family meet to discuss matters of interest to the profession and the country as a whole. Next articleYoung Engineers Forum of Nigeria. Inauguration of state coordinators.